Realme U1 Offers : Buy 3GB/32GB variant worth Rs.12999 at Rs.9999 at Amazon. Realme, a brand who have claimed many achievements within 6 month of its launch in India is all set to Launch a new series "U". Realme U1 is the first device of "U" series which has been launched on 28th November. Amazon.in exclusively sell Reame U1 in India. According to Realme, the upcoming Realme U1 will be selfie focused smartphone for real youth. Realme u1 is the first device in the world to have mediatek latest Helio P70 processor. Official Realme U1 price in India is Rs.9999 for 3GB/32GB, Rs.11999 for 4GB/64GB variant. Other specs of Realme U1 include 25MP AI selfie camera, 13MP + 2 MP back camera, 3500mah battery, Great design and more. Will Realme U1 be a Good Deal for the Price? What is Realme U1 Sale Date? Celebrate your Love for Selfie today with #YouandRealmeDays! And being among the 1st ones here has its own advantages!???? 2nd Sale of #RealmeU1 is now LIVE! Don’t miss out on the chance to become #IndiasSelfiePro! Get ready for the Sale of the Most Preferred Selfie Phone on @amazonIN . Rating of 4+ from 89% of the users, fans have already started loving it. The powerful MediaTek P70, an immersive 6.3'' FHD+ Dewdrop Notch Screen & 25MP AI enabled Front Camera will make U a SelfiePro! Get Benefits upto Rs 5,750 + Upto 4.2TB JIO 4G data. Get 5% Extra Cashback via SBI Bank card. Realme has turned out to be really successful in the budget segment with their recent smartphones including Realme 1, Realme 2, Realme 2 Pro, and Realme C1. Now, the young smartphone manufacturer has decided to launch a new lineup of smartphones and Realme U1 will be the first one to launch under the Realme ‘U’ series. The smartphone will be the first device in the world to be powered by an octa-core MediaTek Helio P70 chipset, along with Mali-G72 MP3 GPU. Other Realme U1 specifications include a 4,230 mAh battery, up to 8GB of RAM, and up to 128GB of inbuilt storage, dual SIM support along with a dedicated microSD slot. Very similar to the Realme 2 Pro in terms of design and specifications, the Realme U1 will feature a dual rear camera setup, along with facial recognition technology in the front camera which is expected to be a 24MP sensor, as the smartphone is touted as “India’s SelfiePro”. Considering the Realme U1 offers, if you are wondering about Realme U1 Flipkart offers, then let us tell you that the smartphone is an Amazon exclusive one. Here, you can view all the Realme U1 Amazon offers. Realme is going to launch its new smartphone 'Realme U1' on 28th November 2018. It will be Realme's first model to carry a MediaTek Helio P70 SoC. Realme is the first one to launch Helio P70 SoC-powered smartphone globally. Ever since Realme 1 was launched in May 2018, fans were eagerly waiting for the second smartphone from Realme. Hardly the fans knew that they would be witnessing the launch of three new smartphones by Realme in the month of September. Now Realme U1 is about to be launched this November in India. Realme U1 launch date in India has been set for 28th November 2018, and it will go on sale on the same day itself via Amazon.com, where you can make use of the Realme U1 discount offers and also some introductory Realme U1 launch offers. Realme U1 Bank offers: Affordable No Cost EMI options from Bajaj Finserv and other bank credit cards. Standard EMI options also available from all leading banks. Realme U1 Price, Launch Date, Specifications, Features, Review, CameraRealme U1 price in India expected to be Rs.11999 for 4GB/64GB variant. Stay tuned to know the exact Realme U1 Price in India after its release date - 28th November 2018. Yes, Realme U1 mobile will definitely be the best deal for the price at which it will be offered. A huge display with a dewdrop notch, a massive battery to last at least two days on a single charge, ample amount of storage with expandability option, dual rear cameras, and AI face unlock feature, in-all makes it the best smartphone to buy at an expected Realme U1 Amazon price of Rs 15,000. Realme U1 sale date will be on 28th November 2018 when the first sale of the smartphone will be held. As the smartphone is an Amazon exclusive, you can get notified of the Realme U1 next sale date by applying for the ‘Notify Me’ option on the Amazon India page for Realme U1 flash sale on 28th November 2018 at 12 PM. Realme U1 Price in India. Realme U1 Price in India is rumoured to be around Rs.11999 for 4GB/64GB variant. Stay tuned to know the exact Realme U1 Price in India after its release date - 28th November 2018. Question - Does Realme U1 come with a notch display? Answer - Yes, it comes with a dewdrop notch display. Question - Does Realme U1 support dual 4G SIM? Answer - Yes, Realme U1 supports 4G with VoLTE on both SIM cards. Question - Is the second SIM slot of Realme U1 hybrid? Answer - No, Realme U1 has separate second SIM and microSD slots. Question - Does Realme U1 have similar AI face unlocking feature as Realme 2 Pro? Answer - Yes, Realme U1 comes with AI face unlocking feature. Question - Does Realme U1 come with a fingerprint sensor? Answer - Yes, Realme U1 does come with a fingerprint sensor. Realme 2 Offers: Buy at Flat Rs.500 OFF - Next Flash Sale on Flipkart (20th - 22nd Jan 2019) - @Rs 9499- Buy at Flat Rs.500 OFF + No Cost EMI: Purchase Realme 2 (3GB+32GB) worth Rs.9990 at Rs.9499.The Realme 2 offers stellar aesthetics and a smooth user experience. Not one to hold you back from recording your experiences, it packs a 32 GB of internal storage space; enough for saving all your pictures, music, and more. Shop now! 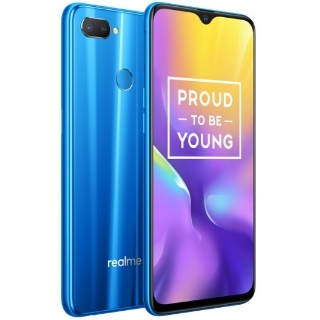 Realme C1 Offers: Purchase Realme C1 (Mirror Black Or Navy Blue, 16 GB) (2 GB RAM) worth Rs.8990 at Rs.7999 At Flipkart. The unbelievably priced Realme C1 is set to redefine the entry-level smartphone segment in India. Its huge 4230 mAh 'Mega Battery', Qualcomm Snapdragon 450 octa-core processor and 6.2-inch notch full screen are unmatched in its price segment. Also avail No cost EMI on this deal. Shop now!